Mark Oldman/DrinkBravelyTVA screencap from the video. 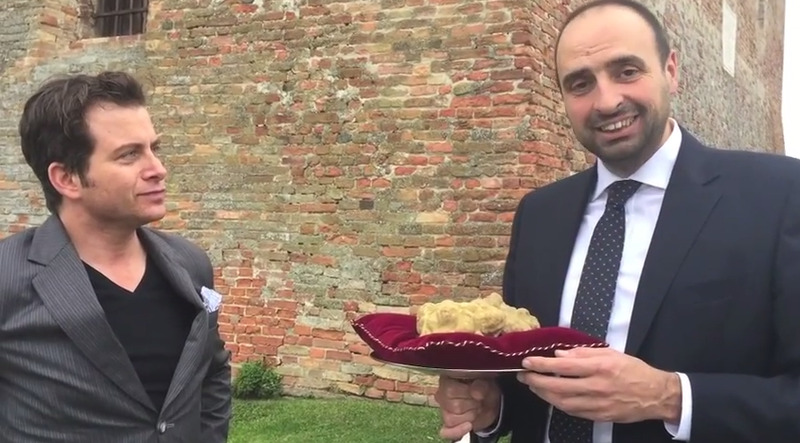 A pair of white truffles sold for $US125,000 at a charity auction in Alba, Italy, on Sunday. The two rare fungi were harvested and sold together to a phone buyer in Hong Kong.